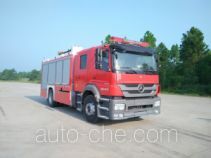 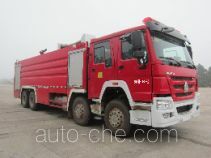 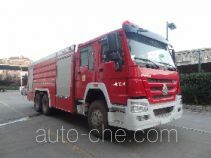 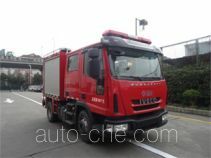 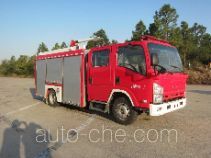 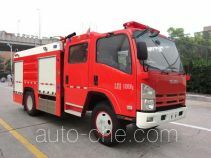 Jinshengdun foam fire engine JDX5080GXFPM30/Y (batch #288) based on ML100E22 chassis is made in China by Shanghai Jindun Special Vehicle Equipment Co., Ltd. 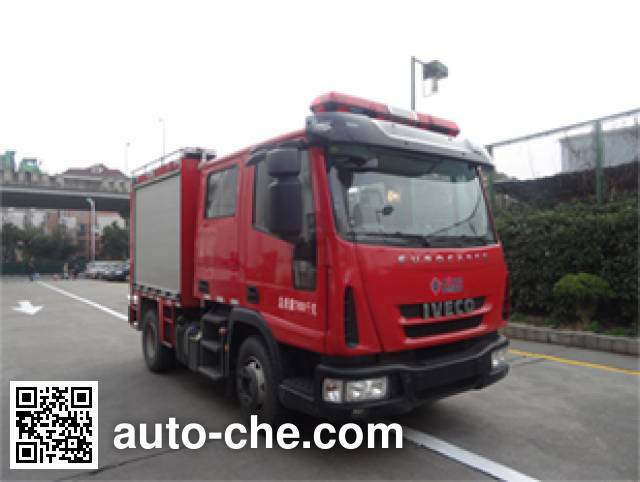 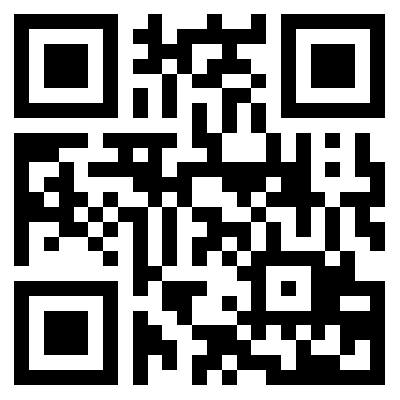 The company is located in Shanghai, in Shanghai Municipality, China. 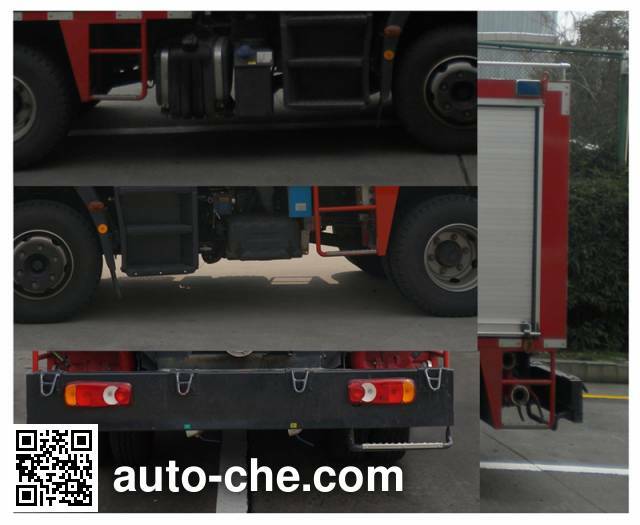 Manufacturer Shanghai Jindun Special Vehicle Equipment Co., Ltd.
1 F4AE3681B*S 5880 cc 5.9 L 359 cu in 161 kW 219 hp FPT Industrial S.p.A. 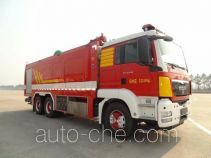 Tank total volume: 2.690 m3, which tank volume: 2,200 cubic meters, tank dimensions: 1095 × 1195 × 1760mm, Class B foam concentrate tank volume: 0.490 cubic meters, tank dimensions: 570 × 1195 × 750, after stretch: 75mm, integral side protection configuration, the protective device material: Q235A steel section size: 80 × 237mm, the vehicle connection: bolted after the protective ground clearance: 460mm. 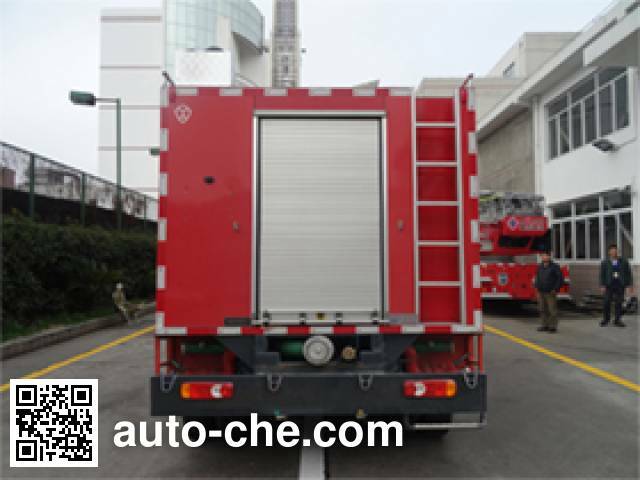 ABS system controller model 048610XXXX, production plant for KNORR.